The benefits of writing a niche site is that you can focus on writing content in an easier way, you already know what your client is looking for and you also know what product or services your client is looking for. As you learn how to build up a website, you’ll be busy creating content to share it on the internet, it can take a few months or even years for your website to get a decent amount of traffic to start making money for you. 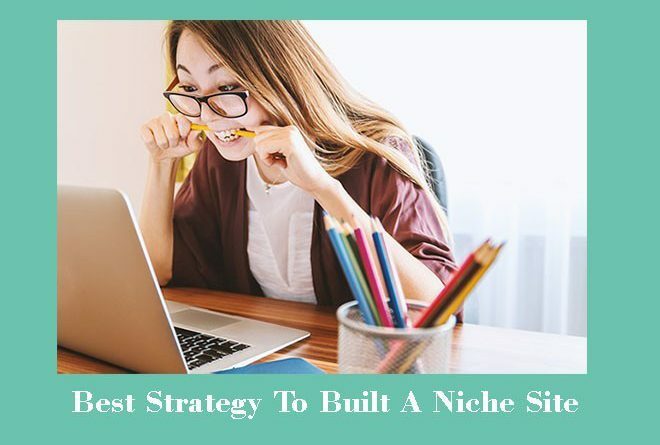 The main purpose of a niche site is to make money for you, the best way to work on creating the content your niche site needs is to have a good strategy to follow. You can learn it by yourself. You can buy an online course to learn from a mentor who has made it already, and he or she knows the steps to follow. On the first case, it might take you from a few weeks to months or even years to hit the nail!, I have no doubts at all that you can make it. On the second case, a mentor will always share the steps to follow and he or she will help you to reach your goals in a shorter period. But on this case, you need to work to create the content for your website that will get the good conversion rate to start making money for you, if you don’t work and if you don’t follow the training, the chances for you to start working on your own online business will be small or none at all. To create the content for your website you need to learn the basic of SEO, but once you learn what is involved it will be easier for you to write a post and make it SEO ready to share it on the internet. You can learn the basics of SEO on this FREE 10 lesson course with Wealthy Affiliate. You will be busy creating a few blog post before your website is ready to start making some money for you. The first thing you should remember is to write content for your reader and not for you!, you might know a few things on your niche, and your mission is to help your reader to find an answer to his or her problems. Write the content to help your audience to solve a particular problem or pain. If you focus on this point, you have more chances to be able to build up a successful website, this is something that keeps apart successful bloggers from the rest, they listen to their clients. What is the point to write content nobody is looking for on the internet? 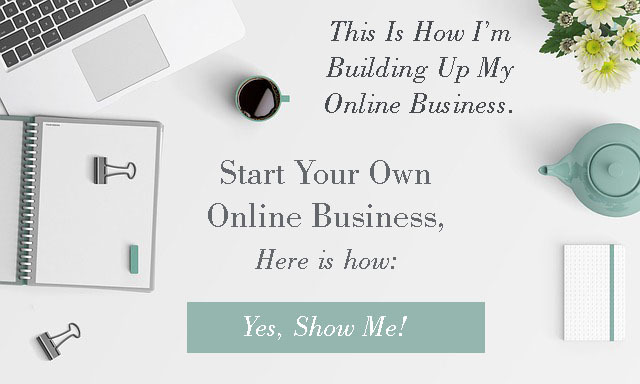 You’re here because you want to build up a website to create your own online business, so let’s focus on what you need to do to reach your goals. Before you get to the point where you start seeing some great results, let’s think that you need to write the minimum of 30 blog post. Some people that work on their niche site write those 30 blog post and maybe more on product reviews, at the end of the day, their website can get a low performance and just make little money or nothing at all. There’s a reason to know why a niche site with 30 or more post that shares products reviews do not get the traffic it needs to be a successful website: blog post with affiliate links do not rank good in most of the cases. But you can follow a business strategy to get the traffic you website needs and make of it a successful website. Here is my tip for you on how to create 30 blog post for your niche site. Your client is already looking for a way to solve a problem, whether is to relieve a headache or how to buy a new house. They are looking to find some response on the internet. You can write 10 blog post to answer your client questions on your niche, the more you know from your client, the more you can help him or her to get a solution. 3 natural ways to get rid of a headache. Healthy diet to lose 10 pounds before Summer. How to create your own website with full tutorial. Easy 3 steps to clean a bathroom. In the examples above, you can see how those titles and blog post will answer some questions to people who are already looking for an answer on the internet to solve those particular problems. Every time you work to write one of these articles be sure they are more than 1000 words, they solve a particular problem and they are written in a language your reader will understand at the first read. Make it easy for your reader, get a catchy title, and solve a problem. As your readers find your article on the internet, they will know you can help them to solve out a problem and their life will be easier. Do not add any affiliate link on these articles… at least for the moment when you publish them for the first time, I will let you know when it’s the moment to add a link and where to on these articles later. Do not forget, these at least 10 articles should be on your niche, don’t start writing articles for your website, for this and that, keep your website focused. You’ll need to have on your website at least 10 blog post of this type, post that solve a problem for your client, post that will help your client to get a better life (on your niche). 7 things to do every day to avoid a headache. 10 foods to avoid losing weight. 5 easy steps to follow to write a blog post. 7 best cleaning products to get a clean bathroom every day!. These post should have a catchy title, and will help your client to solve a problem in a very specific way, add some images on them to make your reader to click on these images and save them, and most of all to share on their Social Media those images. You want your reader to love these blogs post and find them so good that they will share your post on their Social Media, then you’ll get some good traffic to your website. You need to have at least 10 of these blogs post on your post, some of them should be “Pages”. These articles should be written in a long form content, this means that you should spend some time to write them, make each one of them at least 3000 words. Don’t worry if you’re a newbie and it’s hard for you to write that amount of words at the beginning, start today, write a pillar post with a 1000 words, and you can come back next week with more information and add a few more words on it. Get some comments on your post, by doing this you’re adding more information on your post and value, Google loves comments, this is how it knows your writing great value content for your client. Here it’s where you’ll be making money! Yes, these blogs post will be the pillar post of your website and of your online business! how to avoid a headache – 10 supplements to get healthier. Lose weight – 7 supplements to help you to lose weight. Build up a website – 10 lesson FREE course to create your own website. Keep a house clean – Best 10 vacuums under 100 dollars. As you will be talking about a few products that will help your reader to get a better life, you’ll be sharing a few affiliate links, some times you can write a good pillar post with just one affiliate link, and that is OK too, it will rank good too. If you write a post with more than 5 products to highlight the benefits to get one of them, be sure to write at least 100 to 300 words for each product. To write a blog post with over 3000 words some times is not easy, but if you talk about 3 to 10 products on one blog post, it will be easier for you to write 100 to 300 words for each product. You can find a few websites that follow this strategy and they are doing pretty good. Some of these websites keep the strategy to have two to five pages on their menu covering some product reviews and on their blog they have blog post on their niche to help their readers to find a problem solution with no affiliate links on these post. How can you make money on your website? And now I will answer this question for you. You have been busy working to build up your website and it’s ready to get some traffic and some sales. As you have written your pillar post with affiliate links, and you have written the staple posts to share on Social Media by you and by your client, you will get more traffic to your site by now. You need to work on a strategy to share these content on Social Media, let your reader know your website is there and it’s open for them. Now, the way you will get the sales you need to make to start owning an online business is to add to the “response post” and to the “Staple post” to your website pages where you have the affiliate links. The more traffic your website gets and the more traffic you can drive to your pages, it’s the way you can start getting sales from those pages!. The reason is simple, Google and the other search engines do not like very much blog post filled up with affiliate links, your reader will not appreciate a blog post that looks like a TV with lots of commercials here and there. People wont to find a solution to a particular problem and your website should be focused to help them, you need to write a few or many articles as you can to help them to solve their problem. Then, when you get your readers trust, as they can read on your website great value articles, not only one article, they will love to go from one article to another and to another, and all of them should be good articles to spend their time reading them. Your reader will know you know a lot on your niche and they will trust on you, they will trust on the articles you recommend to them, then they will buy from your pages, drive your traffic to your pages. This website has its home page with four pillar post, its menu bar is set up with a few pages with affiliate links, its blog only has a few blog post, but this website is making good money!. I guess you want to go and check your website now, you can look at it with a different look, look at it as if you were your reader. Are you trying to sell to them on every single blog post? Do you share great value information for FREE on your blog post to help your client to get a better life, to be happier, to be more productive? If your website passes this test, good, good for you!! you have been working great on your website, keep at it, share your content on your Social Media and traffic will come to your website. If your website fails this test, don’t worry, and most of all: do not delete any of your blog post because you think they are not good enough. Take your time to edit each one of the blog post you think that are not good, make them great value blog post for your client, you always can rewrite a blog post and make it better. If you delete a blog post because you think it is not good enough, your website can get penalized by Google as you delete a blog post it will break a few links and this is not good at all. It’s always better to rewrite a blog post and make it better!! When a blogger is a newbie, it’s normal to write blog posts that are not good enough for the readers, (I did that too) with time and experience you’ll become a better blogger, you and your website need time and learn the art to write a website to live from it. If you’re ready to learn more about the art of writing a website that will make a full income for you, here’s my #1 Recommendation. This post is really useful for me to pick up essential skills I need to improve my ranking. Although my website has quite a number of posts but it lack the traffic for me to generate income. One problem I learned from you on my site, is every post I did come with affiliate links with some post consists of more than 3. That may explain why I am not being rank by Google. I visited the website you mentioned “Coffee Maker Picks”, it is well design and structured. It can be the model I need to learn from. I have been wanting to get into affiliate marketing but it always seems as if these companies that offer a course don’t have all the steps to really get started. You have explained the concept here very well and I am interested in your recommendation for Wealthy Affiliate. The question that I have is the program set up for newbies? Thanks so much for your visit to read my blog and your comment. I started at Wealthy Affiliate four years ago, I can say I didn’t know anything about blogging and niche sites, since first day I started to follow the training and I can say it’s design for people interested to build up an online business from step 1. This training will help you to follow the training, step by step and you’ll be building up your own website, you’ll learn all you need about SEO, keywords and writing articles. 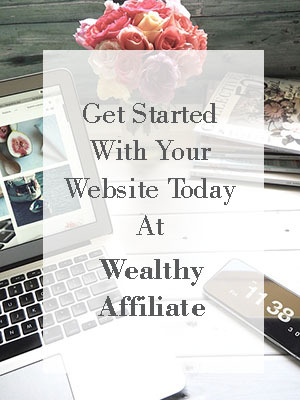 Building up a website is a journey, and Wealthy Affiliate is set up to help all its members to reach their dreams and goals. In case you decide to sign up to Wealthy Affiliate, I’ll be happy to meet you there, and help you with any question.